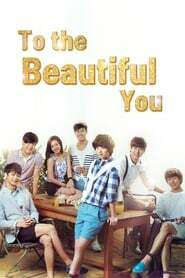 To The Beautiful You is a 2012 South Korean television drama series starring f(x)’s Sulli, Shinee’s Minho, and Lee Hyun-woo. It aired on SBS from August 15 to October 4, 2012 on Wednesdays and Thursdays at 21:55 for 16 episodes. It is based on the Japanese shōjo manga series, Hanazakari no Kimitachi e, written by Hisaya Nakajo. The Korean series is the fourth television adaptation of the manga following the Taiwanese Hanazakarino Kimitachihe in 2006, the Japanese Hanazakari no Kimitachi e in 2007 and its remake Hanazakari no Kimitachi e 2011.